József Kiss de Ittebe et Elemer was born on January 26, 1896 (today in aviation history). Kiss was a Hungarian and the son of a gardener working at the Pozsony Military Academy in what is now called Bratislava. When war broke out between Serbia and the Austro-Hungarian Empire, Kiss left high school to enlist in the army. He served in the 72nd Infantry Regiment and went into combat in the Carpathians against the Russians, from which he returned severely wounded after combat on October 26, 1914. While recovering, he applied for and was accepted as a pilot trainee in the Austro-Hungarian Air Service. What followed was a meteoric rise to become the greatest ace of his country in the Great War of 1914-1918. His story is one of true chivalry in the air and illustrates what it meant in that time to be an ace. After training at Wiener-Neustadt, he graduated and was made a sergeant pilot. Without a high school degree and from a non-officer, non-noble family, he found himself denied a commission as an officer. He was therefore assigned to fly reconnaissance missions in a two-seat Hansa-Brandenburg C.I. Yet even there, he emerged as one of the top pilots in the Air Service. 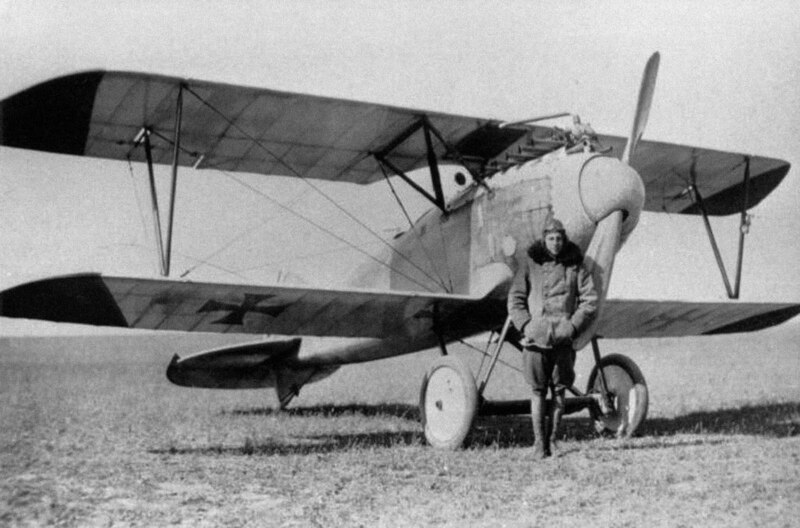 It was in that biplane reconnaissance aircraft that he scored his first victory, a Farman, on June 20, 1916. Undeterred by the fact that he was still not accepted into a fighter squadron, he continued to score a series of victories in that plane. By November, he had achieved a score of seven, of which four were not shot down but rather forced down and captured. For Kiss, the goal of forcing down, rather than shooting down enemy aircraft was paramount, even if he risked suffering significant damage to his own plane in doing so. With seven victories, Josi (as he was nicknamed) was finally recognized and reassigned to the fighter squadron Flik 55J. There, he found that he was still denied a commission as an officer, despite being one of the leading aces in his country’s Air Service. Those around him were largely drawn from the elite ranks of society — each were made officers not by merit but rather by birth. 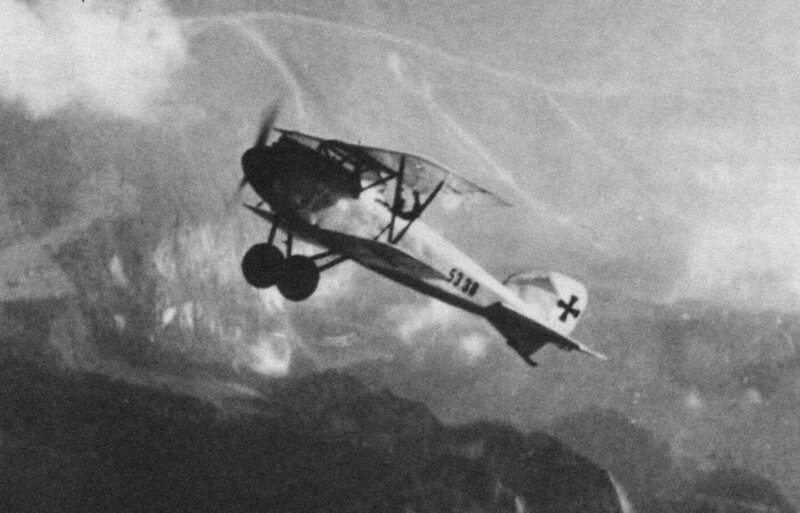 The Austro-Hungarian Air Service reflected a deeply class conscious military command — the son of the lowly gardener at the military academy to be made an officer? Surely not, it seemed was the answer. Nonetheless, those around him recognized Kiss for his talents instantly. He was given his own Albatros D.III. In the tradition of the “knights of the air”, he soon painted his plane all black, putting his initial, “K” on both sides of the fuselage. 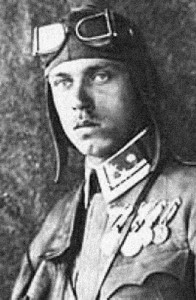 Two other aces flew with him as a flight of three experts — Julius Arigi and Josef von Maier. When Kiss entered a combat, he abandoned himself to the darkest aggression. He took chances where others would not. He was ruthless, selfless and dangerous. Yet somehow, he still retained a desire to force his opponents down rather than kill them. An Albatros D.III of the Austro-Hungarian Air Services, c. 1918; pilot unidentified. On both sides of the air war over Italy, where he was deployed, he developed a widely recognized name and position of respect. Near his base in Italy, in a town called Pergine (Pèrzen in the local dialect), he had a girlfriend named Enrica Bonecker with whom he was leading toward marriage. Twice, however, he was badly wounded in combat. Both times he recovered and returned to combat. His girlfriend used to say that she waited for him when he returned from missions to visit, listening for the sound of his boots and medals jingling on his chest as he walked down the street toward her house. His second injury was the worst, as a bullet had hit him in the stomach, nearly killing him. It took months to heal and a part of his intestines were surgically removed. Nonetheless, even though it was too early he sought to return to combat just two months later, while still recovering. By then he had scored 20 kills by his own count, of which 19 were confirmed. Portrait of Josi Kiss, c.1918. Above all, Kiss wanted to prove himself further and qualify to become an officer. Whereas his class status and lack of a high school degree had held him back, he felt that through aerial combat as a fighter pilot and ace, he would be eventually accorded the position and rank of an officer. Thus, he had to keep at it. When he returned to the Italian front to fight, he was chasing not more victories, but rather the respect he deserved and a commission as an officer. At that time, he was the leading ace in the entire Austro-Hungarian Air Service. Only two other men even close — Julius Arigi, also of Flik 55J, and Istvan “Stefan” Fejes of Flik 51J — every other top ace in the service had less than half his victories. On May 25, 1918, over Valsugana, Italy, not far from their airfield, Kiss and his fellow squadron mates of Flik 55J came up against RFC No. 66 Squadron, a top scoring unit in its own right. In the dogfight that ensured, he was attacked by a Canadian ace named Lt. Gerald Birks, who, like the others in No. 66, was flying a Sopwith Camel. In that airplane, Lt. Birks had already scored nine kills, including two enemy aces, Karl Patzelt of Flik 42J and F. Frisch. 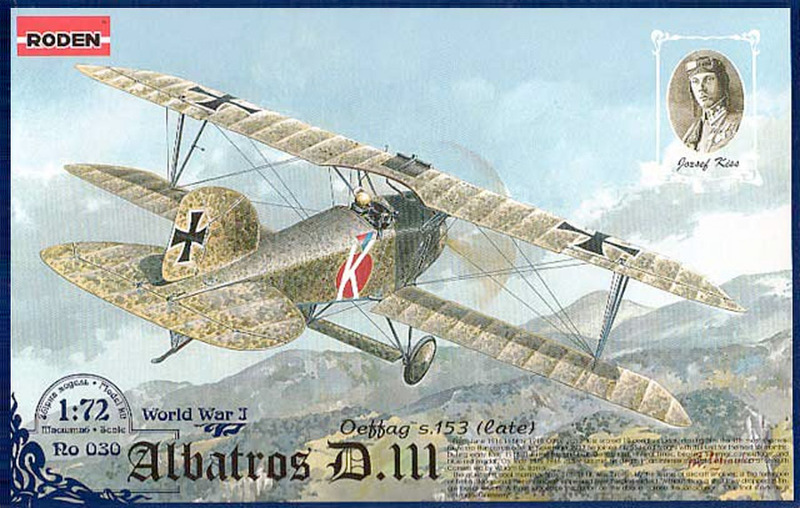 It is very likely that Lt. Birks knew exactly who the enemy pilot was that crossed his guns — Kiss’ Albatros D.III (no longer all black, but still bearing the K symbol blazoned on a red circle) was a well-known foe. He shot him down and Kiss became Lt. Birks’ tenth victory. He would end the war with 12 victories, making him one of Canada’s highest scoring aces. After the death of Josi Kiss, the Austro-Hungarian Air Service recovered his body. With great honors, they held a funeral and laid him to rest. To the shock of all those present, in an extraordinary moment of respect, those attending the funeral witnessed a fleet of enemy aircraft fly overhead in a parade formation. Together, planes from the British, Italian and French air forces put on a thunderous display. Then one plane dropped low and threw down a wreath of flowers to honor Josi Kiss. Not long after, the Austr0-Hungarian Air Service finally awarded Kiss a posthumous commission to the rank of Lieutenant. The loss of Josi Kiss was tragic, but all too common in an era when wars brought extraordinary casualties. As for Enrica Bonecker, Kiss’ girlfriend, she never married and visited his grave daily for the next 52 years. The Canadian ace Lt. Gerald Birks who served in the RFC was a “natural”. There’s a saying among fighter pilots that you never know just what sort of man is in the other cockpit — even the worst air force in the world can sometimes produce a master pilot. Certainly, the RFC was not the “worst” in the Great War of 1914-1918 — and so too Lt. Birks was definitely a “natural”. He soloed in an airplane in Canada after just 2.5 hours of flight time in the cockpit under instruction. Before finally deploying to Italy, unlike most pilots, he had amassed 138 hours flight time, flying and preparing at every chance and opportunity that came his way. When he arrived in Italy, he was a skilled and deadly fighter pilot. At the end of the war, he returned to Canada with just 311 hours total flight time, in which he had scored 12 kills, three of whom were enemy aces. In other words, in his time in Italy, he added just 173 hours in the air. After the war, he became an artist and continued painting until his death in 1991 at the age of 96 years, never again flying in war. What other famous pilots flew with Lt. Gerald Birks that day when RFC No. 66 Squadron met Flik 55J in the skies over Italy? It is more likely his education, rather than his birth that kept him from earlier appointment to officer. Many officers came from non-noble families, although there was a preference for the sons of officers, who had their own cadet schools and were typically “fast-tracked.” Nonetheless, high school level education was mandatory until sometime in the middle of the war. About 30% of the A-H (and German) officer corps came up from the ranks (a much higher percentage than our own). Usually, the NCO would be sent to officer cadet school and awarded the commission upon graduation. Not so easy to do for pilots. And there was the educational requirement. Even when the diploma restriction was eased, the applicant still had to pass the entrance exam. In the Imperial and Royal (K.u.K.) Army, titles of nobility were typically awarded to commoners after long service (30 years), exceptional service (as above), or for a specific act of bravery (e.g., Captain von Trapp). I’m just trying to learn more aviation history here. As far as I know, WWI fliers only wore heavy coats, gloves and goggles in the way of protective clothing. Can anyone fill me in on when and the details of how fliers started wearing items like fire resistant clothing, body armor, parachutes, flotation gear and hard hats? My understanding is that some observation balloon crews had parachutes. Anybody who knows more, please fill me in, and thanks. With regard to aviation helmets, the first recorded practice in the USA dates to aviation helmets were first advised by Lt. Frank P. Lahm, US Army, who was charged with the investigation of the death of Lt. Thomas Selfridge after his September 17, 1908, crash with Orville Wright (who survived with serious injuries). I would kindly like you to correct the given nationality of this ace. József (nicknamed Józsi which is similar to the English nickname Joe) Kiss de Elemér and Ittebe was a Hungarian with Armenian roots. He was born in Pozsony (Pressburg, Bratislava, whatever you want to call it), that’s true. But it was a Hungarian city at the time and about 40% of its population was Hungarian. He was certainly not a Slovak. Every international WW1 aviation website I know lists him as a Hungarian man. Please correct ASAP, thank you! This correction is made; thank you for pointing out the matter of his home town. Josef Kiss had Hungarian father and Slovak mother. He spoke fluently both languages. Yes, he was a Hungarian, as the nationality is counted by father, but if you seek the precise historical facts, this is the full truth. 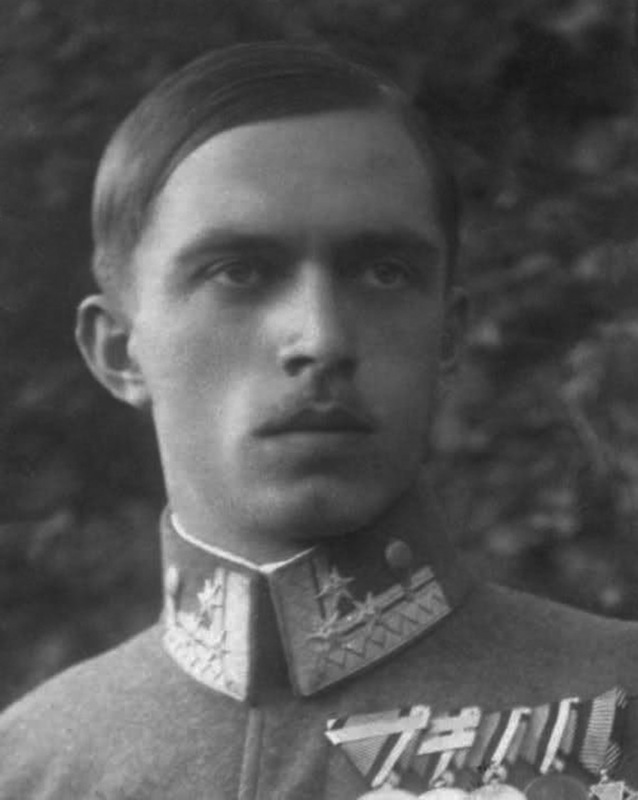 I would also appreciate to use Austrian version of his name – Josef Kiss, because under this name he was officially listed in Austro-Hungarian Army. I can send you his obituary, if you are interested, and there is clearly stated – Josef Kiss. Hungarian “historians” have no problem to include Bratislava to Hungary, but they always forgot to mention that Hungarian kingdom was only one part of Austro-Hungarian Empire as well. József Kiss was a Hungarian as the grandson of Ern? Kiss, one of the 13 martyrs of Arad. Pozsony (or Pressburg) belonged to the Kingdom of Hungary until the Treaty of Trianon (1920). So his nationality is definitely not Slovak. It is a mistake this form of the name: „József Kiss de Elemér and Ittebe”, correctly József Kiss de Ittebe (without Ellemér). The Hungarian Helicopter Base in Szolnok bears his name correctly: Lieutenant József Kiss de Ittebe. The another mistake is: „József Kiss was a Hungarian as the grandson of Ern? Kiss, one of the 13 martyrs of Arad.” Lieutenant-General Ern? Kiss de Ellemér and Ittebe in fact hadn’t a son in the marriage, therefore hadn’t a grandson. József Kiss de Ittebe is born from another branch of the Hungarian family with Armenian roots. These sorts of corrections and suggestions are very much appreciated. It would appear on this matter that there is documentary disagreement and that various readers, including those in Hungary, have different and conflicting information. This requires more research and corrections will be made once verified — as you know, we seek accuracy in everything we publish. Any suggestions and corrections for errors that may have crept into the historical record are welcome! Thank you! I think the information on the type of plane he was flying may be wrong also. I believe the aircraft he had his last flight in was a Phönix D.IIa, number 422.10. Possibly William “Billy” Barker, the most decorated Canadian pilot ever and one of the top aces of the war with 50 confirmed victories. His wing-mate in Italy was Birks.